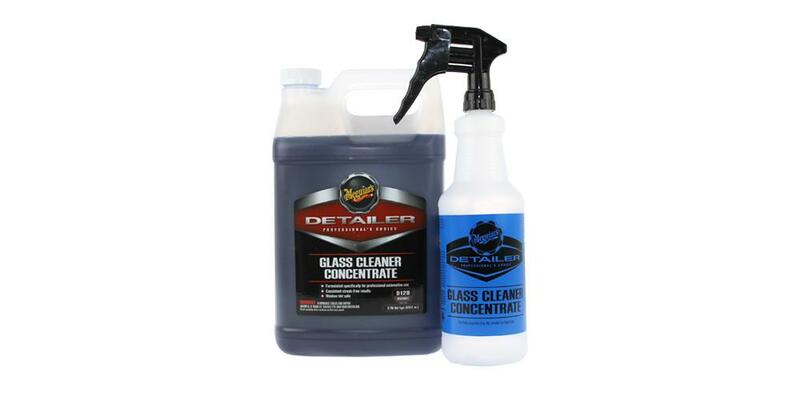 We have hand picked each item in the Meguiar's Glass Cleaner Concentrate D120 Kit because they are highly effective when paired together. To create the best kit possible we utilize our years of detailing experience, combined with input from some of the best detailers around the country. We are confident you will get outstanding results with each item and really enjoy how your vehicle looks afterward. With a quality glass cleaner they all do about the same so for me it's more about using my money wisely. So with the inexpensive price of a gallon and the very good dilution ratios it's a win. Smells like grape. You can usually tell a few days later when I last cleaned my glass because the car still has a faint smell of grape. Good stuff. I have used many different glass cleaners over the years and as with most Meguire's products it's hard to beat. This is a great product and very cost effective, because you water it down 4 to 1. As a professional detailer, I try and used the best products I can find. I have tried almost every product out there and have recently phased in only using Meguiar's and AMMO NYC, with one exception. I use Hi-Temp wax as a base coat on all my daily driver's. It is the only wax that can handle the intense heat of the South-West. I used to have a hard time cleaning windows and tried many other products. Finally I ordered this product and paired with a Waffle Weave towel, I get little to no streaks. Scent is great and since it needs to be diluted it will last a long time! It's also a Bonus that it comes with it's own bottle and trigger, so I don't get confused with what bottle I'm using.